If you’re thinking about a change in career, the only thing that may be holding you back is money. Whether you need it to study to gain new qualifications or you need it to invest in a business idea, if you haven’t got the money, it can seem like you’re at a dead end. However, there may be more options than you think. Starting a small business doesn’t always require a big cash injection. Here are some business ideas you could start working on with little to no start-up cash needed. Unique is in fashion! So, if you have the talent to make something completely unique, it’s almost guaranteed that you could sell it. Perhaps you’d like to sell your artwork or fancy the idea of restoring furniture. For many people, it’s money they’re already spending if they’re doing it as a hobby anyway. It’s free to set up accounts on websites, like Etsy, and you can market your products via social media, which is also free. You can accept payments from customers by using PayPal and you’ll only lose a small percentage of your fee. However, that percentage does keep you and your customers safe. Perhaps you have a passion for fashion and a keen eye for the latest must-have items. There can be costs involved in setting up a store to sell items, whether it’s a bricks and mortar store or an online store. Obviously, you must think about the cost of buying stock in preparation for your opening, and you’ll always have to consider tax and quality dividends. 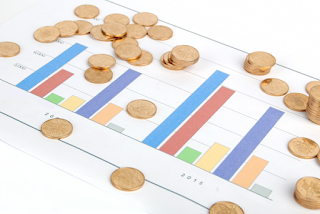 What are qualified dividends you ask – here is a comprehensive guide. However, if you choose to sell online, you’ll avoid the costs of rent and utilities. Once the initial costs have been paid, you’ll find that you’ll have more money coming in than you have going out. Often times, starting a business with little money is all about being resourceful. What can you offer? Do you have admin experience? Are you good at writing? Perhaps you enjoy spending time on social media and keeping up with the latest updates. There are plenty of jobs you can do where all you need is a laptop and an internet connection. For instance, a virtual personal assistant or a freelance web designer. Choose a business name for yourself, set up a business email account and start offering your services. You can bid for jobs on websites like Upwork. You can find many websites that offer freelancers work, but you can also use these websites to get work done. When you’re starting out a small business, there’ll be lots of things you may not be able to do for yourself. For example, creating a business logo or designing a website. You can keep costs down by hiring freelancers who are willing to do free revisions. It’s a great way to get your business branded at a relatively low cost. A change in career doesn’t have to complicated or expensive, so consider all your options before you give up.